We believe that by taking great care of our team, they can take great care of you and your project. We have enjoyed our partnership with Octane over the years and appreciate the diligence and hard work they bring every day. plentiful, reliable, & affordable energy. Serve our stakeholders with rigor and excellence! 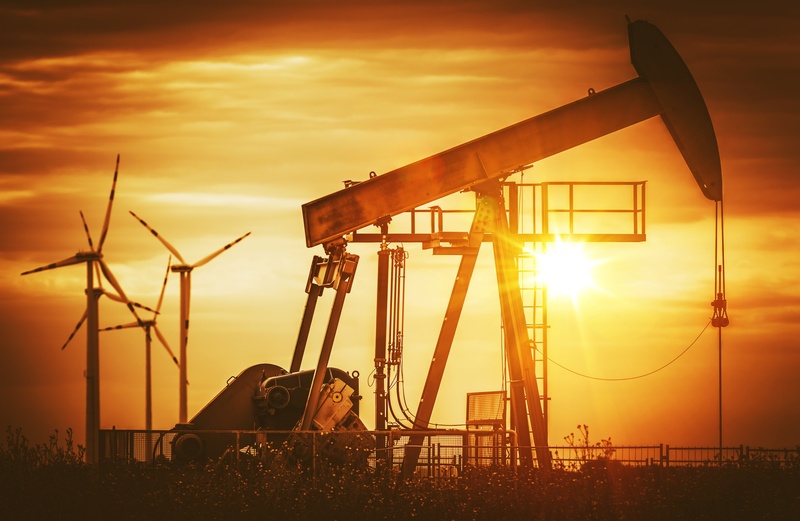 Joe Cervantes and Jared Blong founded Octane Energy in 2013, looking to build a Permian-based, Permian-focused, high tech drilling company in response to the energy renaissance in the US Onshore market. Octane was strictly a consulting operation at the time, with experts who helped clients maximize efficiency all the way from exploration to completion. 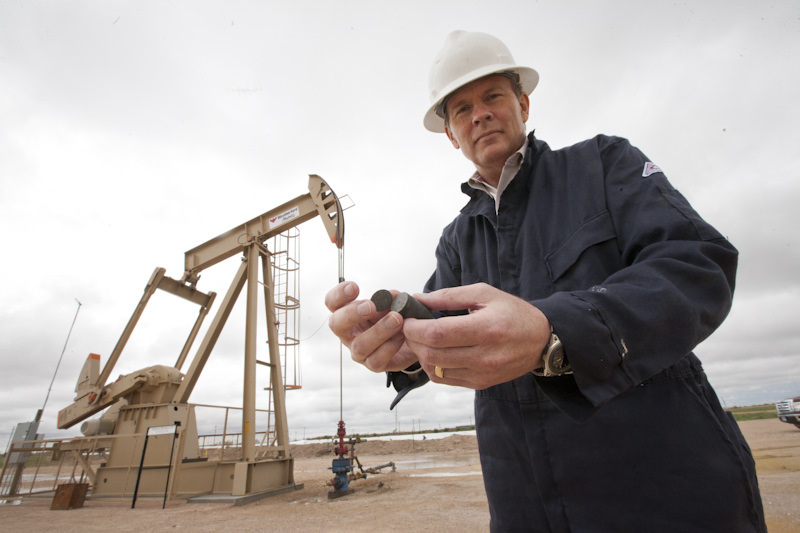 With the surge in oil markets, Octane’s partners planned to expand into drilling, themselves. Then in September 2014 oil prices took a dive. Mr. Cervantes and Mr. Blong quickly became very glad they had not just built or bought some very expensive iron. Octane decided not to expand into drilling after the significant downturn in oil prices, instead retaining its original business model, helping to shepherd capital and ensuring that drilling and completions are done as efficiently as possible. Over the last few years, as oil markets have ebbed and flowed, Octane has buckled down and done the work to keep consultants busy and operator partners efficiently forging ahead. But at the core of our success, Octane recognizes God’s hand of guidance, correction and blessing as we have navigated one of the most cyclical industries in the world. Today, Octane holds fast to the core values with which we began. Treating others how we want to be treated, with integrity and a deep work ethic, Octane leadership is committed to SERVE both clients and consultants, with the under-girding philosophy that happy people deliver great results. Beginning in the early 80s, Lori Blong’s father, Mark Merritt, was in the oil business in Midland. He spent his entire career in the Permian, working with an independent oil company, starting at the bottom and working his way up. Mark gave his life to the industry and raised his family through the middle of all of the booms and busts, teaching us that “if you go out there and work hard with integrity to make a hand, there will always be a place for you in the oil business.” Lori cut her teeth on conversations about mud weight and porosity and logging wells and managing people in the Oil Patch. During the time that Jared Blong and Joe Cervantes were preparing to start Octane, in the planning stages before anything truly started, Jared spent hours with Mark talking to him about the integrity with which Mark had conducted himself in the industry and the way that he had been able to shape his organization, his hiring practices and the quick-pay turnaround that was a priority to him. Those same tenets have become benchmarks for Octane, foundational and cornerstone to who we are. We have now had the opportunity to work with clients who either worked for Mark or with him in some capacity and those relationships that he started fostering in the early 80s have continued for us. Those are relationships that we value and it's part of the reason that we think the Permian Basin needs to be central to where we're working, not just because the Permian Basin has so much activity, obviously, but also because we have generational relationships here and they are important to us. The Permian Basin is our home. We seek to pour back into the lives of those who have poured into us. Helping God's people in need build better homes and lives. transformed by Jesus Christ through the influence of coaches and athletes. To operate on a standing commitment to reach the brokenhearted, with a specific calling to assist our nation’s military Warriors and families find a new life purpose through a hope in Christ, after enduring hardship through their service to America. Jared Blong is one of Octane Energy’s founders and serves as its President and CEO and champions "people driven" thinking throughout the organization. Jared Blong is one of Octane Energy’s founders and serves as its President and CEO. Mr. Blong has a diverse background in operations, risk management and business development, combined with a strong knowledge of the soft and technical aspects of the drilling industry. Prior to founding Octane, he was the Director of Risk Management for Western Drilling, Inc., where he established an addiction to the drilling business. While with Western, he managed a broad range of processes from finance to field operations. He also honed a broad technical knowledge of drilling equipment and downhole troubleshooting. Throughout the course of Jared’s career, he has had a proven track-record of new business development and management, with a natural ability to connect people and cultivate relationships. Mr. Blong holds a BBA from Tarleton State University in Stephenville, TX. A native West Texan, Jared lives with his wife and three children in Midland and is invested in the community and in the long-term success of the oil industry as a whole. Jared serves on the board of the Permian Basin Fellowship of Christian Athletes and is former Chairman of the International Association of Drilling Contractors (IADC), Permian Basin Chapter, where he worked to reestablish a strong Permian presence within the global IADC community. Jared’s ability to think creatively to find innovative solutions is born out of his experience within, as well as outside the drilling industry. Jared seeks to lead Octane into a strong future of excellence and continual innovation driven by its great people. Lori Merritt Blong is one of Octane's founders serves as an Executive Vice President. She drives the organization’s values though strategic financial management and administrative oversight. Lori Merritt Blong has been supporting Octane from behind the scenes since long before its inception in 2013, as she was Jared’s primary sounding board and critic in the early development of the company. Lori joined the Octane team in a formal capacity in 2015, coming on board to help manage bookkeeping, vendor payments and consultant relationships, as well as other administrative needs. Today, her primary role is driving the organization’s values though strategic and administrative oversight as well as financial management. Lori cut her teeth on the oil business in the Permian Basin, having been raised in an engineering manager’s household. As a child of 10 or so, Lori was taking notes on mud weight, porosity and well logs, as well as learning about the finer points of rigs and pumping units at Sunday dinners throughout her childhood. Today, Lori values the opportunity to maintain relationships forged through the booms and busts of two generations. Mrs. Blong is a graduate of Hardin-Simmons University and holds a BBS in Psychology, as well as post-graduate teacher certification in History and Social Studies. Lori spent her early career in the El Paso Independent School District, as a high school social studies teacher at Coronado High School for 5 years. Lori serves on the Board of Directors for the Midland Habitat for Humanity, carrying on a legacy of service with the organization her late father, Mark Merritt, was deeply passionate about. Mrs. Blong also serves in various capacities within her church and community. Lori resides in Midland with her husband Jared and 3 very active children. Joe Cervantes is one of Octane's founders and serves as an Executive Vice President. Joe specializes in assisting private equity backed clients as they seek to delineate and monetize assets. Joe Cervantes is one of Octane Energy’s founders and serves as an Executive Vice President. His primary role is coming along side Octane's private equity backed clients and leading out with risk mitigated and cost effective drilling programs as they seek to delineate and monetize assets. Mr. Cervantes has spent more than 40 years in the energy business and is a self-professed drilling addict. Prior to founding Octane, he was the Drilling Manager for JB Hunt Oil & Gas, a privately held Wolfberry driller, where his efficient practices drove a financial company turn around and led the company to become the most efficient driller in the 1-6 rig category in all of the US onshore market. Before joining JB Hunt, he spent 5 years managing drilling operations with Amerimex, an operator-owned drilling startup focused primarily on the red hot Barnett. Most notably, Joe spent 18 years with Patterson, starting with the company when it had only 3 rigs. While with Patterson, he grew in responsibility, knowledge, and expertise as he helped them grow into a drilling powerhouse. Throughout Joe’s career, he has proven to be a strong critical decision maker in high pressure environments. While serving the industry for the last four decades, Joe has drilled, managed, or consulted on more than 4000 wells located domestically in Texas, Oklahoma, Colorado, and New Mexico and internationally in Venezuela. Mr. Cervantes holds numerous industry specific credentials and is a recognized expert in dealing with challenging downhole conditions. A native West Texan, Joe lives with his wife and has three grown sons all involved in the drilling business. Joe’s unconventional thinking is born out of his storied career and having successfully implemented much of the technology seen over that time. Joe seeks to lead Octane into a strong future of excellence and continual innovation driven by its great people. Deane Durham serves Octane as our VP - Operations as well as hands-on support of our field operations, helping instill our company-wide values to SERVE. shared many beliefs about the core values one needs in this business and life. expertise from classroom to wellhead. a revolutionary veteran support network. professionals in this industry need “Safety Leader” as our Co-Title. the Permian Basin and beyond to lead with integrity and an unquenchable fire. Kathryn “Kitty” Haverstock Joined the Octane team in early 2017 and serves as an Administration and Personnel professional ensuring that our team support runs smoothly. Kathryn “Kitty” Haverstock Joined the Octane team in early 2017 and serves as an Administration and Personnel professional ensuring that our operational, accounting and team support run smoothly. Mrs. Haverstock is critical to Octane delivering some of the fastest contractor pay in the industry, as well as facilitating seamless client and contractor communication. Prior to joining Octane, she served the energy industry in varying administrative capacities for the last 30+ years, including 14 years with Warren Equipment Company as an HR Specialist and more than 7 years as a Production Analyst for HL Brown and Fasken Oil & Ranch, Ltd.
She and her husband Wayne, a former Marine and energy industry veteran as well, reside in Midland, and have 2 grown children and 6 grandchildren. Kitty’s ability to coordinate and execute administrative support empowers Octane’s leadership to deliver on its people driven vision while upholding its values to serve. Tyler Yaklin joined the Octane team in April, 2018 and serves as the Business Development Manager. His primary role is to source new and diverse opportunities for the company. Tyler Yaklin joined the Octane team in April, 2018 and serves as the Business Development Manager. His primary roles are to source new and diverse opportunities for company growth while implementing a robust recruitment program alongside the operations team that ensures Octane Energy is continually on-boarding world class contractors. Additionaly, Mr. Yaklin has a diverse background in directional, motors, and proppant with companies like Baker Hughes and Cadre. This experience has allowed Tyler to hone his marketing, interpersonal and leadership development skills while gaining significant exposure to technical field operations. Prior to joining Octane, he was employed as a Sales Executive for MS Energy Services where he was tasked with growing market share in both directional services and MPact Motor utilization. While with MS, he worked with a diverse spectrum of E&P companies throughout Texas, New Mexico and Oklahoma. Tyler has the heart to serve as a bridge between the boardroom and the field. Throughout his career, he has developed a reputation as a trusted partner of E&P companies by leaning on his ability to connect people with opportunity to form mutually beneficial partnerships. Mr. Yaklin holds a B.S. in Agribusiness from Texas A&M Kingsville. Tyler still resides in Austin with his wife, Natalie, and their brand new baby girl. Tyler’s broad world view and ability to problem solve is driven by his diverse background. Tyler is proud of the mission on Octane Energy as sees his role of “helping good people get back to work” as a blessing. He knows that Octane Energy is truly PEOPLE DRIVEN. CSM (Retired) James Pippin serves Octane as a Field Operations Advisor. His primary role is ensuring operational integrity is upheld. CSM (Retired) James "Pip" Pippin joined the Octane team in 2018 and serves as our Field Operations Advisor. His primary role is upholding organizational and operational integrity and ensuring our people driven thinking is realized at the field level. As James joins the Octane Team, we are proud to learn from and leverage his exceptional track record of leading men and women well, and we are excited about the experience and excellence he brings to our organization. A proud Texan, James broke out in the energy business the first time in 1981 where he worked on shallow production well service rigs and drilling rigs as a floorhand, rig operator and roughneck. In 1986 James left the oilfield join the United States Army where he served 25 distinguished years attaining the rank of Command Sergeant Major. CSM (R) Pippin is a proven leader under fire and is a decorated combat veteran and proud patriot. During his military career he served with units of the 75th Ranger Regiment for 19 years and 6 years as a Battalion or Brigade level Command Sergeant Major in the 1st Cavalry Division. During his service, James led up to 7,400 soldiers into combat from the squad level to the brigade level. He deployed to combat 10 times, once to Panama for Operation Just Cause, 4 times to Iraq and 5 times to Afghanistan in support of the Global War on Terror. While serving in the 75th Ranger Regiment, he parachuted into combat 3 times, becoming the only serviceman to do so since the Vietnam War. He is a 2013 inductee as a Distinguished Member of the 75th Ranger Regiment and was awarded 4 Bronze Star Medals and 1 Bronze Star for Valor. James is also a recipient of the Purple Heart for wounds received in combat. After retiring from military service, from February 2011 to December 2013, James remained engaged in the Global War on Terror through his employment with the Asymmetric Warfare Group. He served as an Operational Advisor to Army units from Squad to Division level, regularly embedding with tactical level units during combat operations in Iraq and Afghanistan. He assisted Squad to Division level leadership with problem solving by observing first hand enemy techniques, tactics, and procedures and implementing solutions to defeat the enemy and save American lives. In February of 2014, James started Pippin Oil Well Service, which he owned and operated, with a single/double well service rig. He lead and ran the rig for 3 years in 9 counties from the center hub of Graham, Texas, servicing oil wells as shallow as 2,000 feet and as deep as 6,400 feet. During this time, James specialized in repairing down hole problems from parted rods and tubing leaks to full scale complex new completions. In June of 2017, James sold the well service rig and began contracting for APR Energy, a global electrical power generation company. APR Energy provides massive amounts of electricity to industrial and government customers throughout the world. In this position, James served as a Construction Manager and Supply Chain Manager. As Construction Manager, he led 10 – 250 electrical, mechanical, and civil engineers and labor force workers in the construction of electrical power plants in Argentina, Australia, Puerto Rico, and Bangladesh. James embodies our passion to lead from the front. He personifies our people driven vision and lives out our values to serve as he has for so many years already.